A huge thank you to everyone who made our 50% OFF sale to launch our new website a huge success. We've heard from hundreds of new readers who have just encountered Haymarket for the first time, and from hundreds more who have expanded their libraries with new books and old classics! Our top ten sellers from the last two weeks are pictured below, but we sold at least one copy of almost every single one of the more than 500 books we've released! While our initial 50% off promo has come to an end, we'll be running additional sales throughout the year (including upcoming Holiday sale). We appreciate you ordering your Haymarket books directly from us, rather than from the corporate competition. 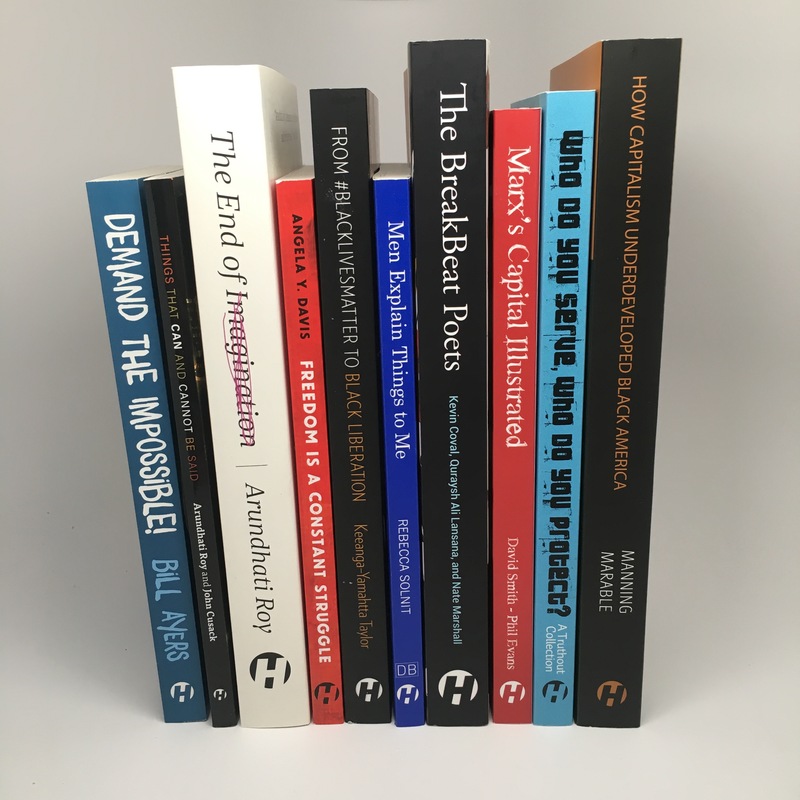 While we already strive to price our books affordably, we are establishing a year-round site-wide discount of 20% OFF hardcovers, 30% OFF paperbacks, and 40% OFF ebooks! In addition, ebooks will always be free bundled with hard copies (where available) and shipping will always be free on orders over $25 inside the US.